Almost every single web design project uses images. The big challenge with using images is that if you get a beautiful image it can pull your design together and make it look even better. If your image is pixelated, low quality photography, or simply not right for the design it can seriously impact the whole design in a bad way. I have spent so much time hunting down beautiful images and where to find them. I’ve also spent thousands of dollars on images for different design projects. I’ve learned a couple things about finding great images. The first is that you usually won’t need to buy images. A few years ago this wasn’t true. Now there are so many free high quality, beautiful images that require no attribution or credit. It’s always appreciated but not required. I have put together a list of my go-to locations for finding beautiful images. Check it out and save it for when you need it. Even though I have so many image resources available I usually only use a few of them like: unsplash and death to stock photos. When I can’t find what I’m looking for between those two I go to stocksnap. If I still can’t find what I’m looking for I turn to paid options. For background videos I almost always use coverr. Sometimes I know right from the beginning that I need custom photography. If you know of a good photographer you can hire them to do the photos you need. Or you could use a resources that finds the photographers for you. I lean toward a clean and minimal design style and therefore look for those type of images. I put together a collection on unsplash that is my go-to spot for images. You might find it useful as well. 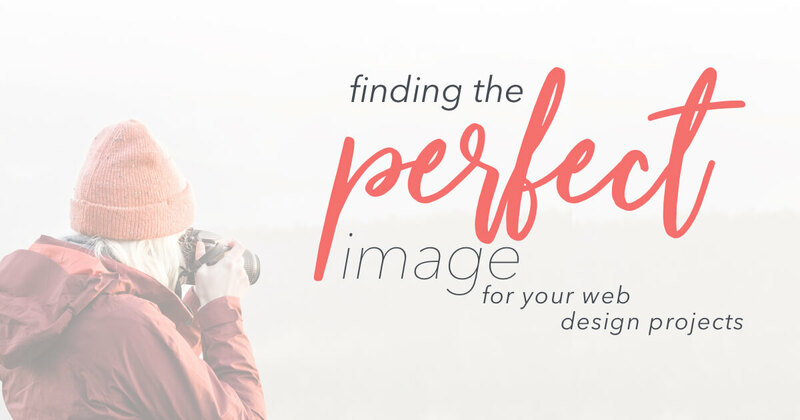 Once you have found your perfect image, make sure you size it correctly so that it looks good on your website.